When I decided to leave behind an IT job in the Middle East to join SportsKPI, the above quote clearly sums up the reason behind why I chose to do so. SportsKPI was finally offering me the platform to pursue my passion and it was an opportunity that I had been waiting for long. In addition, when the organization decided to post me with the India U-16 National Team post my training period, it was truly a dream come true for the long-time Indian football fan in me. 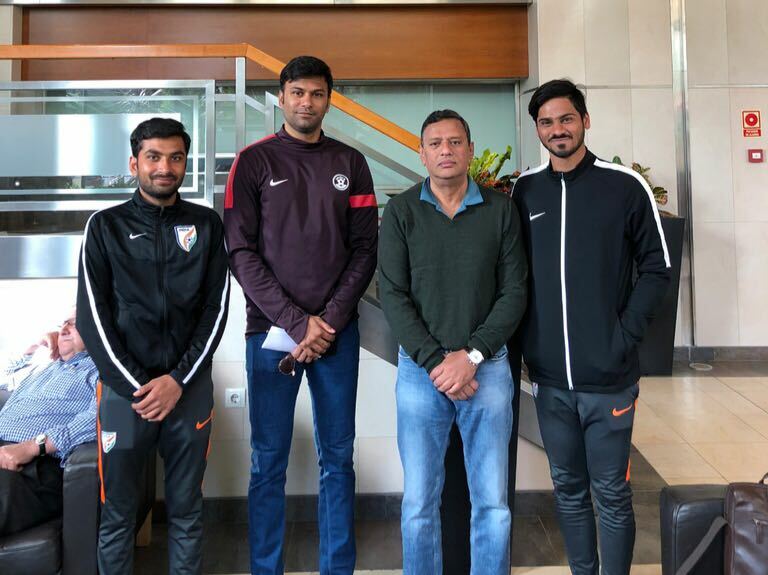 I joined the India U16 Camp in Goa on the 12th of January 2018, a few days after the team had regrouped back after the AFC Qualification Round and the short vacation that followed. As a performance analyst with the team, my primary responsibilities with the team could be classified into two parts- post-match Analysis and Opposition Analysis. 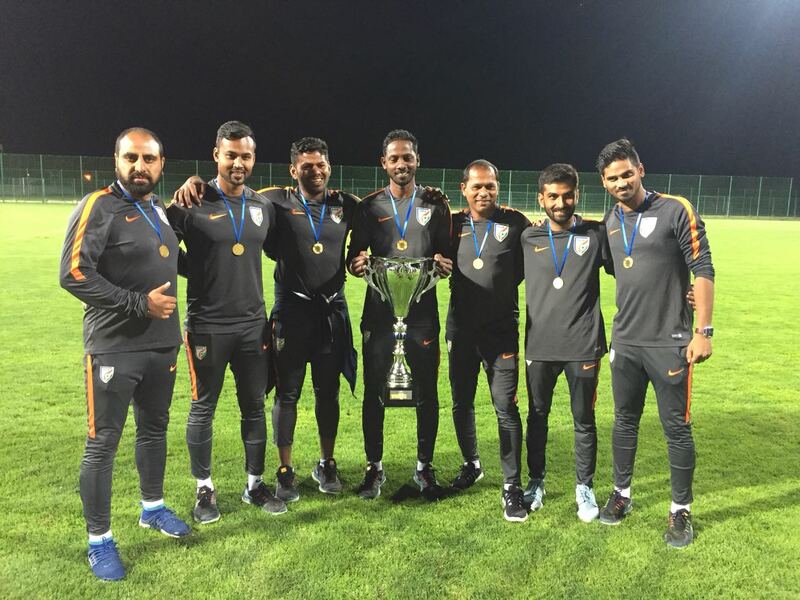 In preparation for the AFC Championship 2018, the team trained and played matches in India as well as in a few other countries as part of our exposure trips. 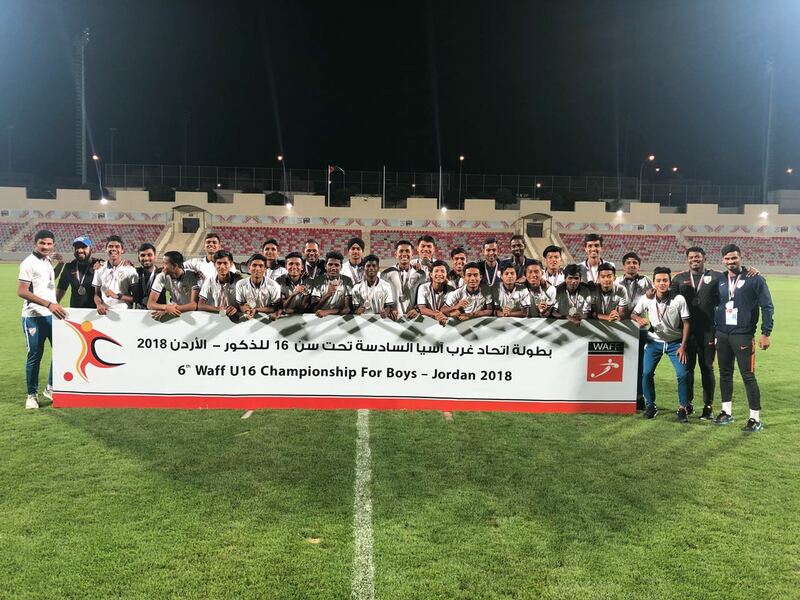 I was responsible for recording the team’s training sessions and competitive matches that the team participated in and the post-match analysis mainly includes breaking down the session or the match into the different tactical components, as per the coach’s requirement. Our Head Coach, always gave me the freedom to give my inputs about the session or the match, either directly or as a part of the video presentation. Secondly, I was also responsible for the opposition analysis. Having a prior idea on how the opposition plays, helps the team prepare better for the match. Since the videos at the youth level were difficult to obtain, the video search was a great challenge and I usually had to do extensive searches across the Internet to obtain recent matches played by the opposition. Once I had the opposition match videos, I watched the game closely and analysed the game. In addition, I tried to provide the coach with an insight into the strengths, weaknesses and the key players of the opposition. Another key responsibility I handled with the team was the implementation of the Athlete Monitoring System. The dashboard helped to analyse and ensure that players are not overloaded during sessions and it was my task to collect the wellness and RPE (Rate of Perceived Exertion) values from the players on a daily basis. This data was also then shared with the physios to assess any injuries or niggles. Another task the coach entrusted me with was to keep the spirits high within the team with a few motivational videos for team meetings. Several motivational videos were shown from the Internet according to the mood and situation within the camp. Sometimes I also managed to compile a few motivational videos exclusively with the clips of our team. We also got to try out the GPS devices a few times in training and it was my responsibility to activate the devices and hand it over to the players and later store the data for analysis by connecting the devices to our laptop. The collected data was used to generate reports to give a brief idea about the player performances and workload. I also had the opportunity of assisting the Assistant Coach as well as the Goalkeeping Coach at times. I had to work with the Assistant Coach to prepare the Set Piece Positioning slides and sheets to be shown to the players pre-match and in between the game. And with the goalkeeping coach, he occasionally instructed me to specifically cover some of the GK training for him to review later. The 10 months spent with the team was very enjoyable as well as a great learning experience for me. The staffs were all very encouraging and cooperative with my analysis and presentations. The team as a whole had put in our best efforts to qualify for the World Cup; however it was a major disappointment for everyone associated with the team to get knocked out at the final hurdle. As the analyst of the team I got to learn a lot more about the game and improve my tactical knowledge. I would like to thank the AIFF and SportsKPI for this wonderful experience. Article from our Football Performance Analyst – Mishal Thanveer. This entry was posted in Football and tagged AIFF, Analytics, Football Analysis, Indian Football, SportsKPI, U16 Indian Football. Bookmark the permalink.